Dr. Smith brings a diversity of experience to the University of Phoenix, including higher education administration, faculty member, and workforce development. She has served in the roles of Dean of Graduate and Professional Studies, Director of Adult and Professional Studies, and Director of Academic Support. She has facilitated doctoral level courses for more than 15 years, and enjoys mentoring her undergraduate math students, many of whom are in the military. Most of her teaching is done online, and she is highly proficient in using Moodle, Blackboard, Canvas, and other proprietary course delivery systems. Dr. Smith has worked with the University of Phoenix since 2008 as an Associate Faculty member in the School of Advanced Studies. Dr. Smith earned her Ph.D. in Conflict Analysis and Resolution from Nova Southeastern University and her M.A. in Instructional Leadership from Centenary University as a working adult, and has an affinity for students who are completing their degree programs while having to prioritize multiple commitments and obligations. While working on her doctorate, her local community suffered massive damage from Hurricane Ivan, prompting her to write her dissertation on the phenomenon of conflict experienced by flood survivors. As a result of her research, she was able to provide assistance and guidance to municipalities which were decimated by Hurricane Sandy in 2012. 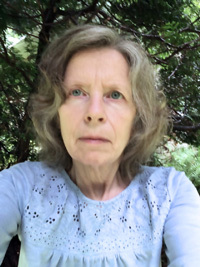 She is most comfortable with the qualitative methodologies of phenomenology and case study, but has also served as a committee member for quantitative dissertations. Her current research interests include diversity and inclusion, social problems, and the intricacies of remediating conflict. Who Are You Calling a Pracademic?